How will agency deal with continuing risk from tank-foam debris? A close-up shows the gouge in the shuttle Endeavour's belly tiles after Tuesday's landing. 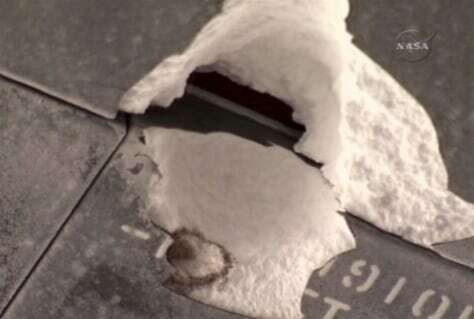 NASA officials say the gouge was eroded a bit more during atmospheric re-entry, but not nearly as much as some feared.